Arris Engineering Group Ltd. provided MEP Engineering Services for this $5,200,000 renovation and addition to the CRMC Emergency Department. 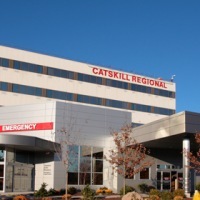 The addition is located directly adjacent to the existing emergency department. The total area of the addition is approximately 15,000 square feet and the existing Emergency Department will be renovated to flow with the new work. Total renovation area is approximately 5,700 square feet. Goals of the project included meeting the future needs of the hospital and improve efficiency.